Over one dozen works by innovative Mexican artist Rufino Tamayo will be available in our September 22 sale of 19th & 20th Century Prints & Drawings. Tamayo was an artist of Zapotec descent living in Mexico at the beginning of the 20th century. Though he fraternized with Diego Rivera and the famous Mexican muralists, their styles were too large and political for his tastes—he preferred more intimate art. 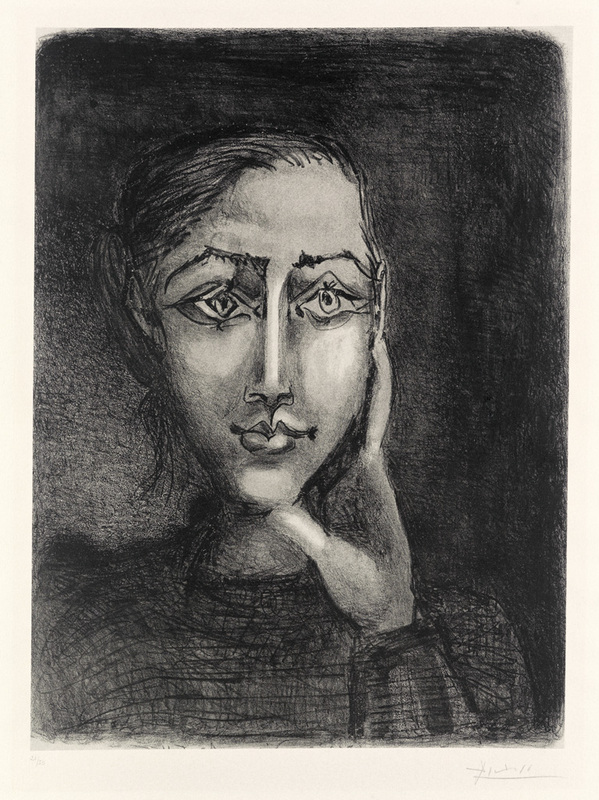 In the 1920s, he moved to New York City, where he was deeply influenced by modern art movements, especially the work of Henri Matisse, whom he met at a party, as well as Georges Braque and Pablo Picasso. He also taught Helen Frankenthaler while she attended The Dalton School. 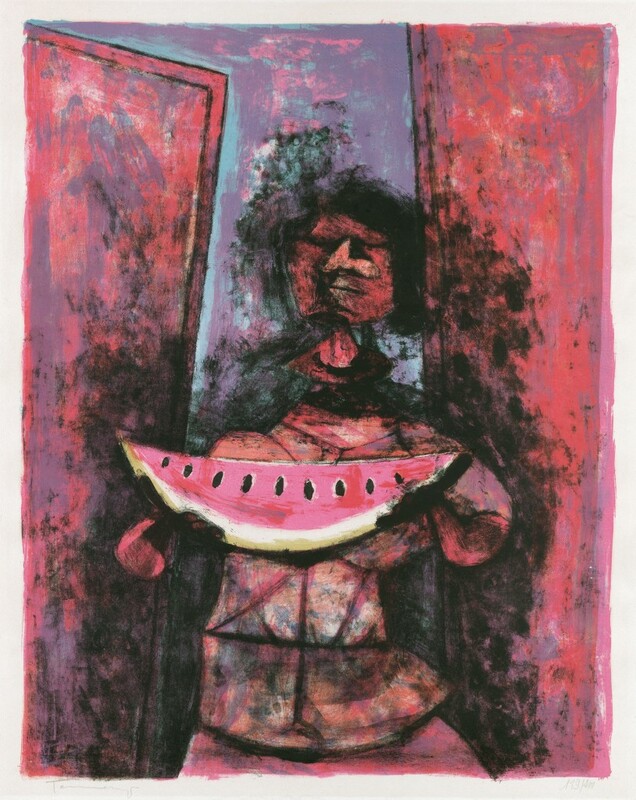 Lot 312: Rufino Tamayo, Mujer con Sandía, color lithograph, 1950. 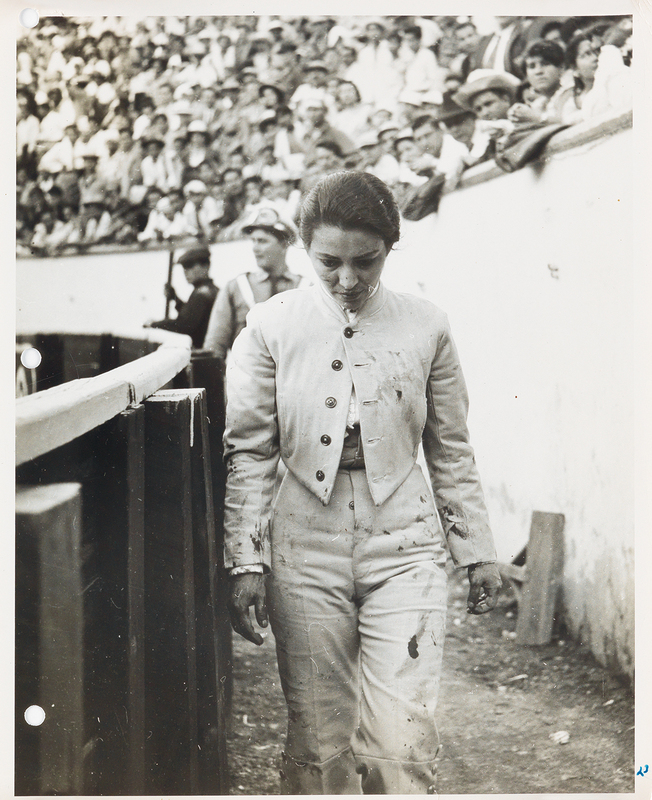 Tamayo combined traditional Mexican styles with avant-garde European trends in a way no one before him had done: he did so without romanticizing his Zapotec ancestry. Instead, he blended both schools to produce a result unlike anything else in the art world at the time. 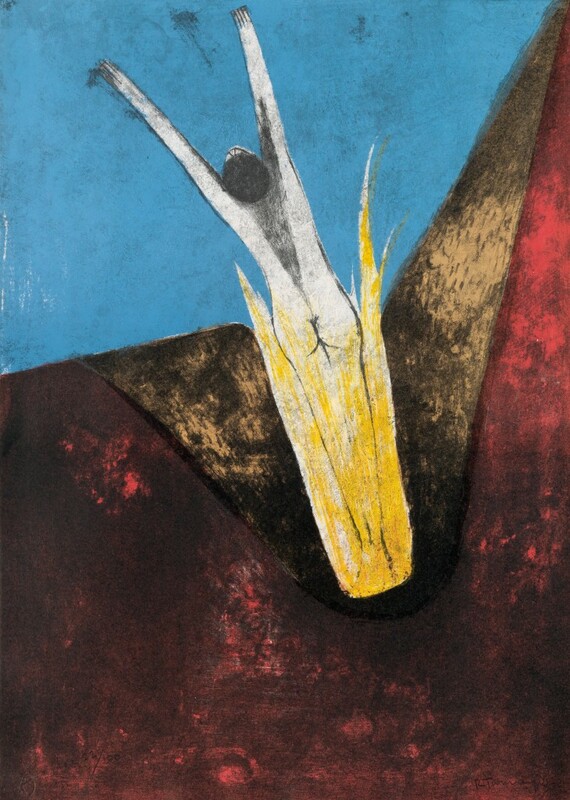 Lot 313: Rufino Tamayo, Mujer, color lithograph, 1964. Estimate $2,000 to $3,000. Tamayo represented Mexico in the 1950 Venice Biennale, as well as at Documenta II in Kassel, Germany, in 1959. He worked mainly in prints, loading up the surfaces with thick impasto and incorporating other materials into the pigment. The additions became too much for the flimsy, conventional paper and he began to press his own paper onto which he could add more materials and textures. The resulting object was as much sculpture as print, and gave the appearance of pre-Columbian stone reliefs. In 1974 he invented a technique called “Mixografía,” a process which involves a number of steps and materials, including carving burnt wood and molding plasticine. 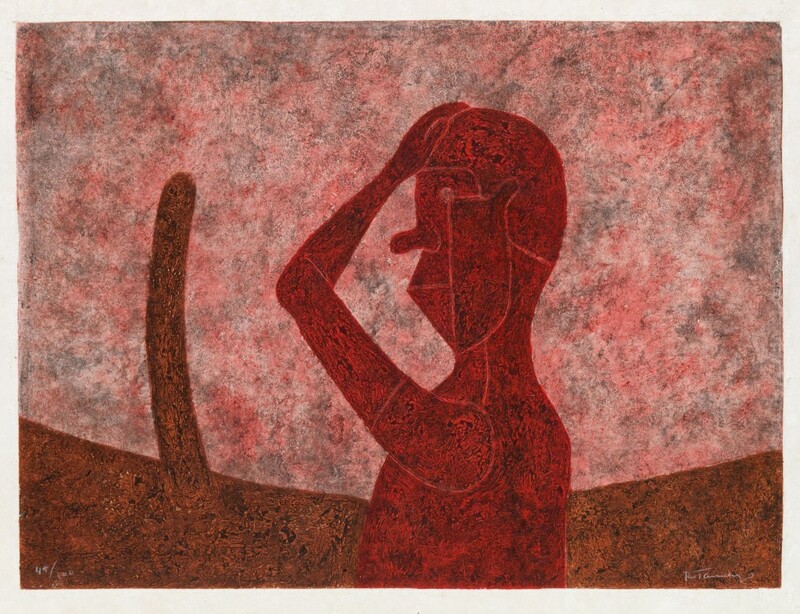 Lot 320: Rufino Tamayo, Busto en Rojo, mixografía, 1984. His subjects are formally simple, but technologically inventive, and possessing a visual depth beyond what one would expect of a simple figure against a colored background. Some of these pieces are reminiscent of works by Jean Dubuffet. Lot 318: Rufino Tamayo, Los signo existen, portfolio with text and 6 color lithographs, 1973. Estimate $10,000 to $15,000. There are two museums in Mexico named after him: the Rufino Tamayo Museum of Pre-Hispanic Art in Oaxaca, and the Rufino Tamayo Museum of Contemporary Art in Mexico City. His personal collection, which he donated, form the core of their holdings. 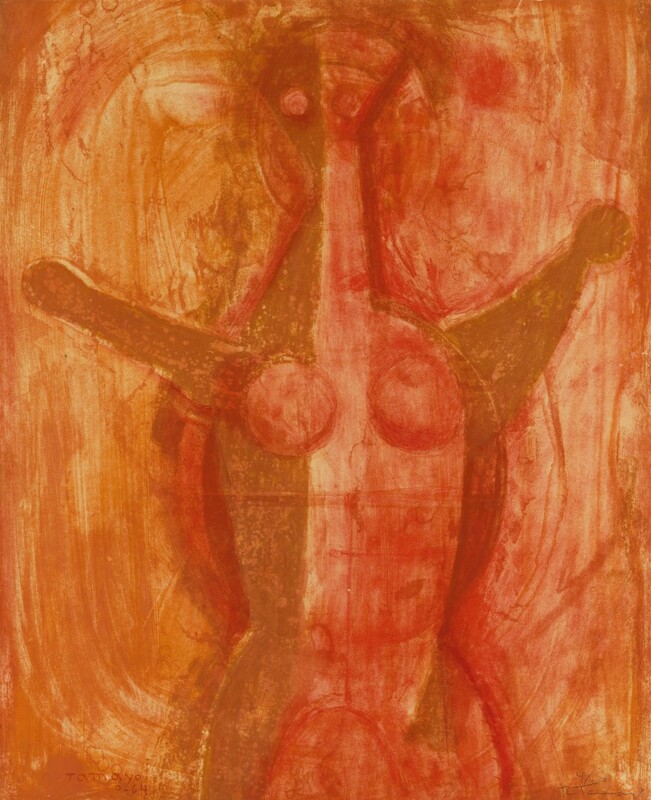 For more works by Rufino Tamayo and Latin American artists, visit the full catalogue. September 12, 2017 Who is Françoise Gilot?